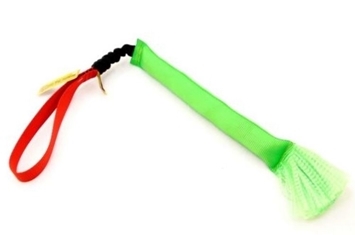 These colorful toys are very flexible and small enough to fit comfortably in your pocket. 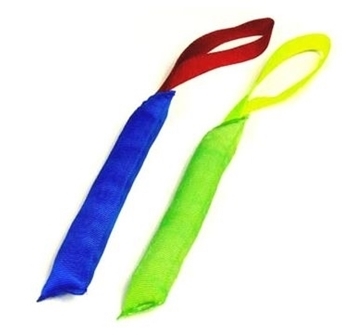 Excellent for interactive tug games to stimulate motivation. 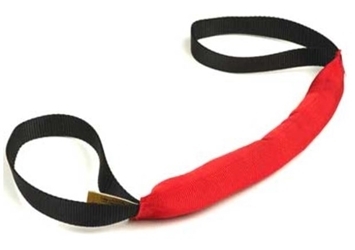 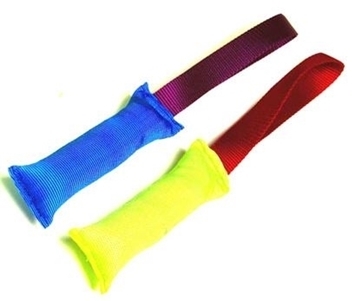 The tug zone is braided, so it “gives” rather than tears for added durability and teeth safety. 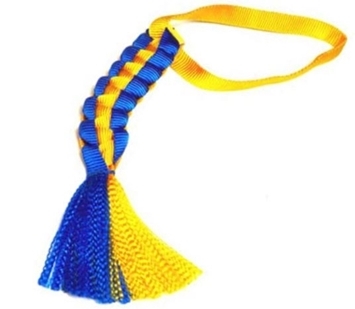 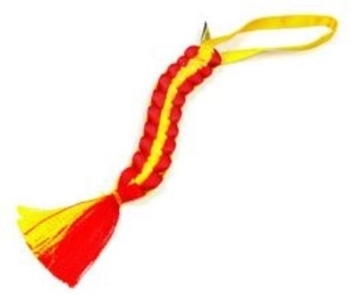 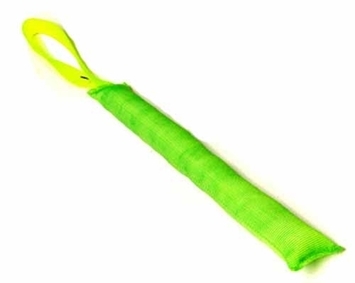 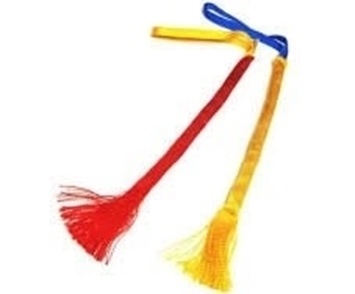 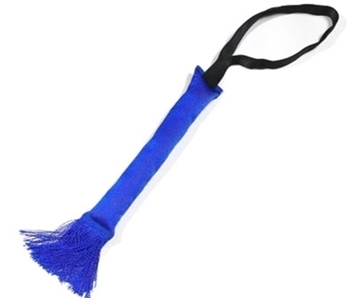 The tassel on the end is irresistible to sight stimulated dogs, and the nylon handle is soft for your hands.